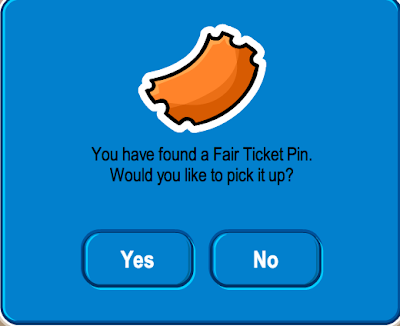 Club Penguin Cheats by Mimo777 Club Penguin Cheats by Mimo777: Club Penguin Pin Cheat -FAIR TICKET PIN! Here is how to find the new Club Penguin FAIR TICKET PIN cheat. Step 3. Go into the Coffee Shop and upstairs to the Bookroom. Mimo will only have quicke parties for penguin time because it's not fair for people with diffrent time zones. Well maybe it's your computer or contact the club penguin team. Dude, you are way too old to play this game. hey mimo, i know this is going a bit off topic, but y did u choose aqua? i mean do u really like shades of blue or something? Hi Mimo777, I havn't been on your site in like, forever! I'm buddies on my member, Jazzaajr, with lots of famous people lol, but really love ur site!!! hey mimo, how do you get the party puzzle stamp at the fall fair? Awesome awesome awesome pin! But nowhere NEAR the awesomeness of Mimo! MIMO ROCKS! :) It's OK dude! After all, you may have been disintegrated by Mimo's aweseomness if you were that close to him! I think it's one of his favorite colors... I mean, he used to be orange, and his template is aqua and used-to-be orange! So maybe those are his fav colors? Or he just thinks it fits with his outfit! Hey, Mimo! I don't know how to tell you this other than on a comment, but PLEASE read this! 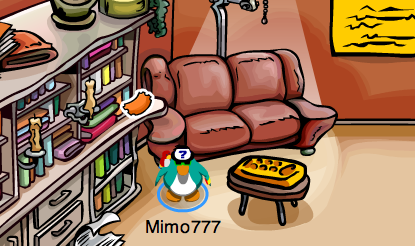 I found a really funny glitch on CP! If you dance in a green hoodie, you'll turn blue! Try it! It's AWESOME! mimo when were you be online? Hi Mimo, just wanted to let you know I've found a really cool glitch on Club Penguin - dance while wearing the green hoodie and your penguin changes to the Old Blue colour! mabey and speeking of blue,when you dance with the green hoodie you go to garys blue old blue coler! hey mimo i learned acool glitch. no i already got the target stamp, i meant the puzzle stamp.